Ottorbox, known for making really strong cases for mobile devices, has unveiled their Armor series of cases. Dubbed the hardest case the company has ever built, it can survive in water for up to 6.6 ft for 30 minutes, drop-proof for up to 10 ft on concrete, no dirt or dust intrusion, and can take up to 4000 lb of force. The case uses corrosion-resistant metal latches on the side, pre-installed screen protector on the case, strong ridged edges, shock absorbing silicone, high strength reenforced plastic, and an over molded silicone shock absorbing material on the outside of the case. 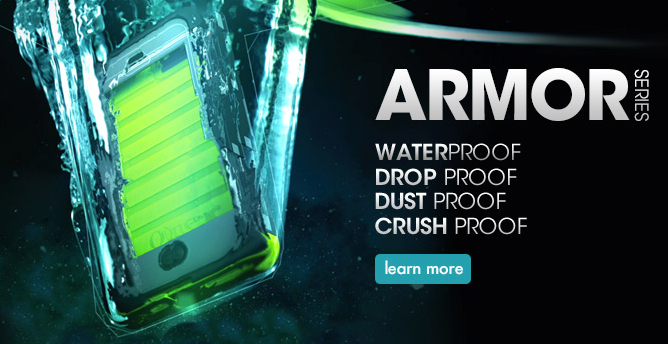 The armor cases will be available the iPhone 4, 4S, 5 on February 22nd and the Samsung Galaxy S3 after that. You can pick one up on their website, ATT.com, and ATT retail outlets.